Do you plan on moving in the near future? What are your average utility costs right now? What are your heating and cooling habits? Do you program your current system? Do you have any hot or cold spots? Are you satisfied with the current performance of your unit? Do you or anyone in the home have allergies? Our design specialist will also fill out a load calculation for your home. A load calculation will help us ensure we are sizing your equipment properly. We will calculate your home’s heating and cooling requirements by measuring doors and windows, determining insulation type, and applying the square footage. Although this is a seemingly easy part of an estimate, many companies will skip this imperative step. 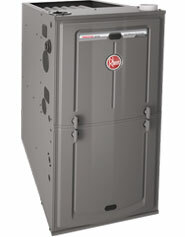 An undersized furnace will not heat your home properly, and an oversized unit will be much less efficient. Fan On Plus™ technology allows control of continuous fan speed with a compatible control. 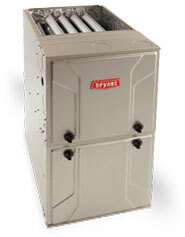 Lifetime limited warranty on heat exchanger. This level of cooling and heating efficiency is almost unheard of in a split-system heat pump of this kind. It combines intelligent system control with variable-speed operation to provide premium comfort and energy savings. 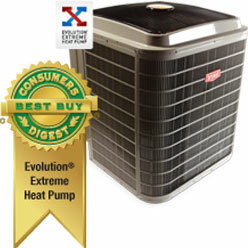 The Evolution Extreme Heat Pump qualifies as an ENERGY STAR® Most Efficient 2014 model. Apex also offers Mitsubishi Heat Pumps in single- or multi-head applications. Contact us today to see what product will best suit your home’s needs.